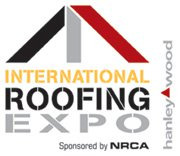 National Coatings is exhibiting at the 2019 Int’l Roofing Expo February 11th - 13th at Music City Center in Nashville, Tennessee. Visit us at booth #2837. We will be showcasing full line of high performance, durable, watertight, acrylic roof coatings and our high solids, low VOC, sustainable, high build SRC Silicone roof coatings that extends the lifespan of your existing BUR (smooth), concrete, EPDM, metal, modified bitumen (mod bit), Spray Polyurethane Foam (SPF), PVC or TPO roof. Come learn about the many capabilities and benefits our Acrylic and Silicone Roof Coating Systems have to offer. We have sales representatives located across the US, to help you with all your roofing questions and needs - from new construction to roof restoration, we have you covered! Cost Effective Roofing Solutions - 50% to 70% less cost than a traditional roof replacement with the added benefits of energy savings, reduced life-cycle costs and reduced roof maintenance. Energy Savings - Reduce cooling costs by 20% or more. Reduced Roof Maintenance - AcryShield coatings are rich in UV blocking ingredients to protect your roof from the leading causes of roof degradation - the sun's UV rays. Quick Installation - Our roof coatings allow contractors to avoid extra installation stages to achieve excellent adhesion. We also offer a line of QuickSet products. Watertight - Proven to stop leaks for over 35 years. Seamless Membrane - Fluid applied and custom tailored to meet the individual needs of each roof. Non-Intrusive Application Process - No disruptions to employees, customers or tenants inside the building. Direct Adhesion to Aging Single-Ply Membranes - These systems tenaciously adhere directly to single-ply surfaces such as TPO, EPDM and Hypalon without the need for additional primers or an etching rinse. We look forward to speaking with you - Stop by our booth #2837 to learn more! If you are unable to attend the show but are interested in additional information regarding our AcryShield Roof Coating Line or more information on our Restoration and Maintenance Systems, download our FREE Full Line Brochure. Or, if you would like more information on our Silicone Systems, you can download our FREE Silicone Roof Coating Brochure!